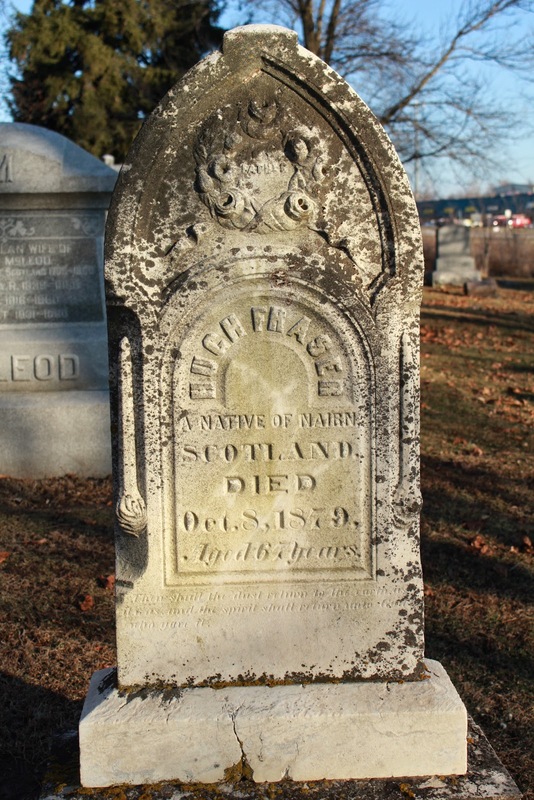 Organized by Scottish settlers in October, 1848 with Rev. James Milligan at the home of James Wright Sr. The last regular services were held in 1920. 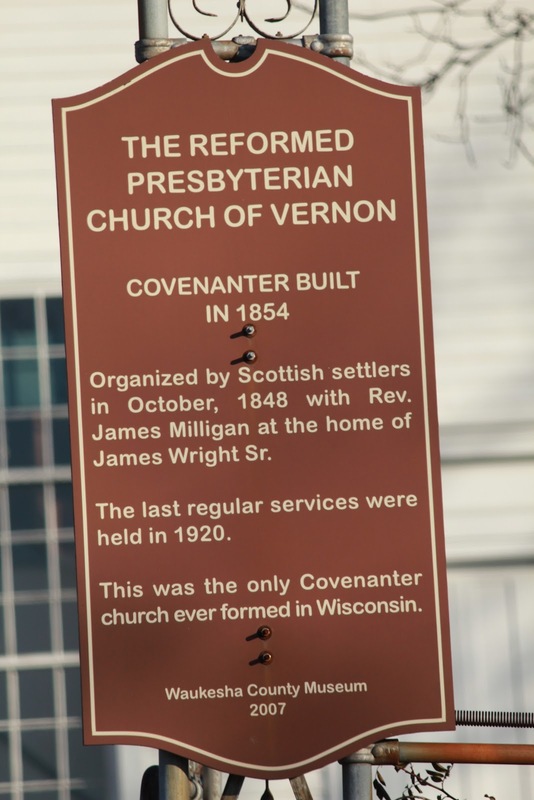 This was the only Covenanter church ever formed in Wisconsin. The marker is located on the grounds of the Vernon United Presbyterian Church, located on northbound Big Bend Drive, just north of its intersection with National Avenue / County Road ES, at W236S7050 Big Bend Drive, West Bend, Wisconsin 53103. The marker is No. 31-03 in a series of historical markers erected by the Waukesha County Historical Society. This work is in the public domain of the United States. to a large group of countryfolk congregating at the mouth of a cave. One of the cemeteries more elaborate headstones. The marker is very easy to locate and access.